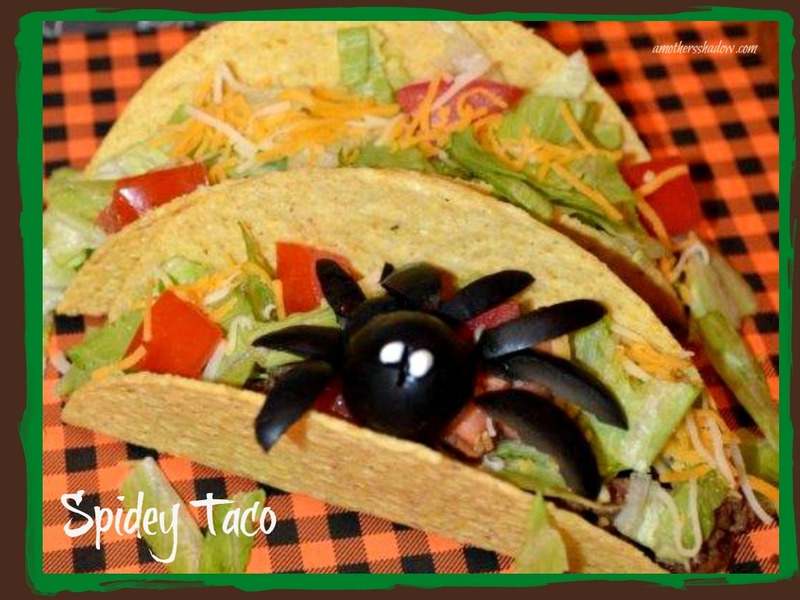 Halloween Spidey Tacos are to the rescue! With Halloween season it’s sweets and rushing around to lots of fun events. So if you are looking for a meal idea that is festive, easy, simple and fast, I’ve got you covered! This is a meal the kids and family can help make too. 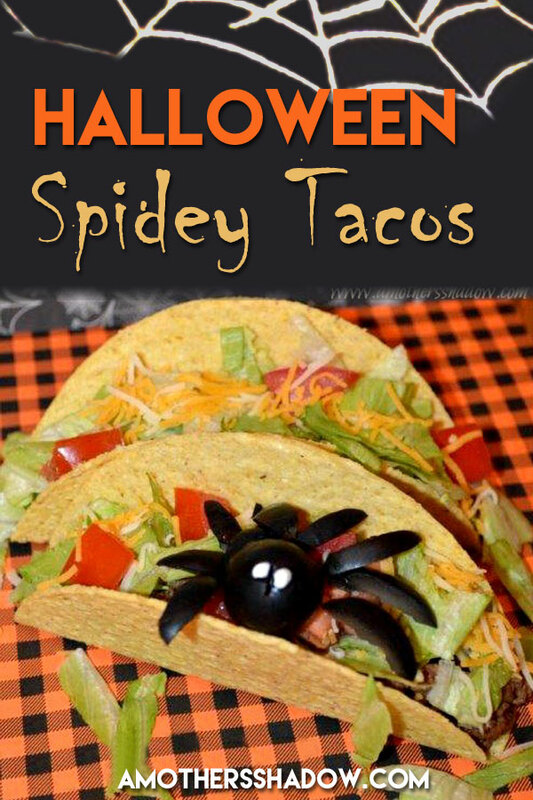 Halloween Spidey Tacos are delicious, in expensive and everyone likes a taco. 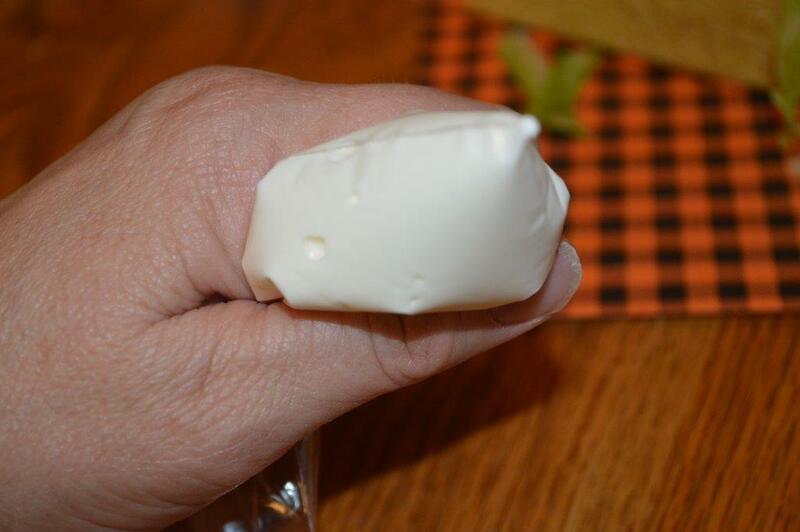 Make some for your family or a party! 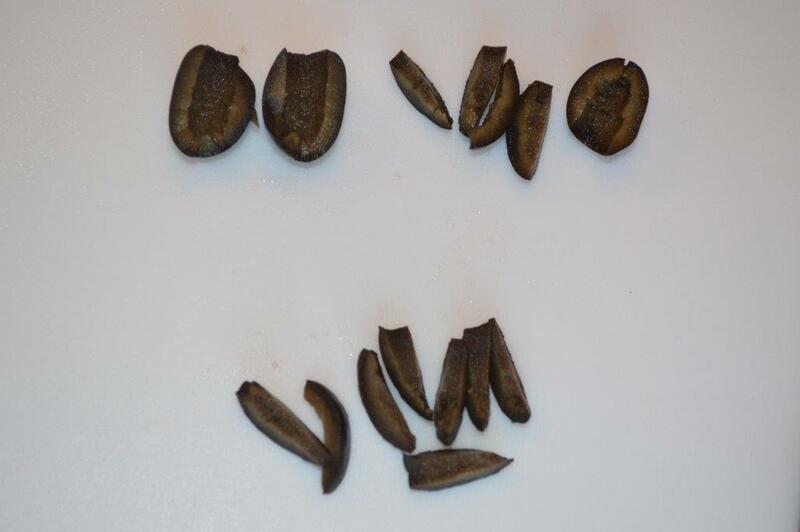 Cut one olive per taco, in half, then each half into 4 slices to make 8 ‘legs’ per olive. Build your taco as desired. 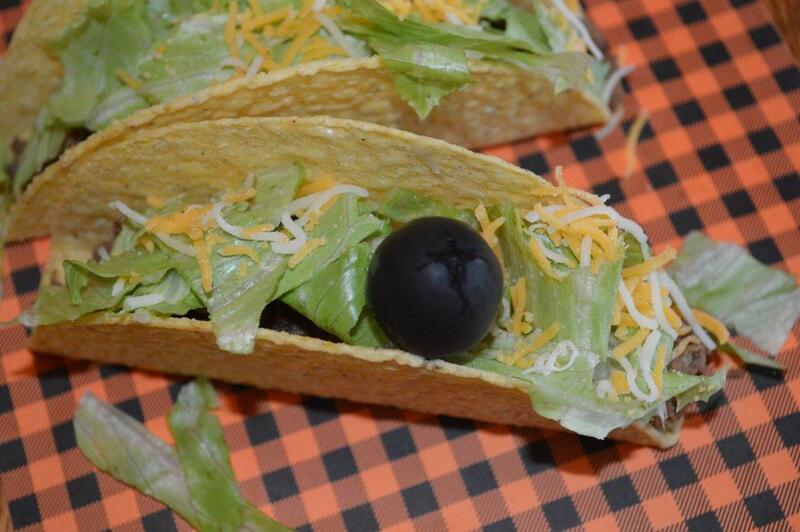 Then place one large/jumbo olive inside the taco for the body. Put each slice of the olives in place for the legs. 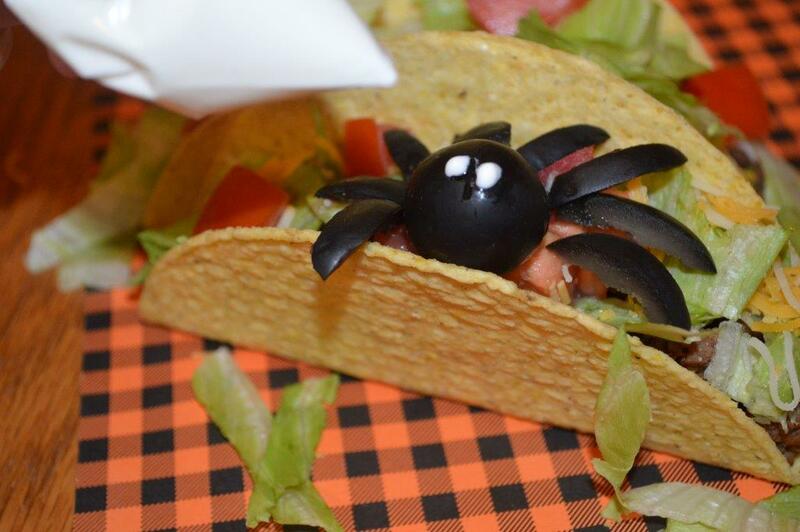 Dab a bit of sour cream for 2 eyes and there you have your DELICIOUS Amazing Halloween Spidey Taco!